Mauricio Mora was born in 1968, in Cd. Juarez, Chih., Mexico. He began sketching at a very early age. After having studied graphic design and business administration at the University of Texas, he decided to follow his natural talent and began painting at the age of 24. 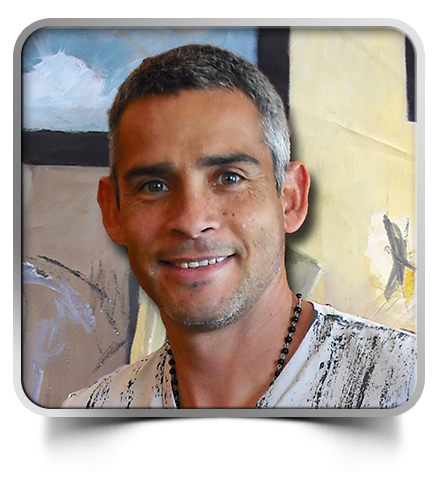 Mauricio Mora is one of the most successful young Hispanic artists to come out of the El Paso/Juarez area. His round-faced Mexican children quickly brought him tremendous exposure and popularity. Mora’s recent works have changed drastically and have led him to explore and invent many different styles including fashion design, graffiti, abstract, minimalist, and pop art. In less than one decade he has sold thousands of paintings and prints. In his professional quest, he has made contacts in Paris, Asia, Mexico, New York, Miami, and Santa Fe, establishing avenues with various collectors and art dealers.